What They Say.....Sarah Quinlan's husband, Jack, has been haunted for decades by the untimely death of his mother when he was just a teenager, her body found in the cellar of their family farm, the circumstances a mystery. The case rocked the small farm town of Penny Gate, Iowa, where Jack was raised, and for years Jack avoided returning home. But when his beloved aunt Julia is in an accident, hospitalized in a coma, Jack and Sarah are forced to confront the past that they have long evaded. 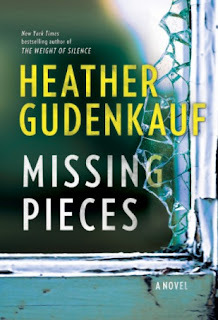 What I Say.....First of all, I have to say without hesitation that I am a sincere Heather Gudenkauf fan. I have loved all of her books and encouraged everyone to read them. But I have to be honest, this was not her best. Honestly, the writing didn't even feel like her. I wondered at times if she had a ghostwriter for some weird reason, or if her publisher is rushing her to put out books before they are ready. There had to be a reason for the weirdness of this book. It was an excellent premise - the story had a lot of promise, but the delivery was just odd. (Spoiler alert, don't go any further if you haven't read). The book started off weird, with a couple married 20 years going back to the husband's small town where his aunt has been in a terrible accident. So first of all, a happily married couple of 20 years, with no marital issues, has never, ever been to his hometown, and his wife doesn't think that's weird. Once they get there, they find out the aunt may have been pushed down the stairs, or eventually, we believe poisoned, although there are never any symptoms or storyline to indicate she was poisoned. Jack's sister is accused by his cousin, and under arrest and on and on. It was just very disjointed. Suddenly, Sarah is smack in the middle of believing her husband is a murderer, although there is no significant reason to believe this - and a dispatcher she spoke to once is stealing a box of evidence from an old murder to lend to her for a day or two.....that the sheriff keeps in his closet instead of the evidence room. Sarah apparently writes a syndicated advice column - this comes up suddenly, almost like a plot twist that just got added. Suddenly she is receiving anonymous messages about dead blind mice. Okay, this really irritated me. As part of the wrap up, you are supposed to realize that the nursery rhymes are about the farmer's wives. Ummm, that doesn't even make sense, since the farmer's wife cut off the tails with a carving knife, according to the nursery rhyme, the farmer's wife was the villain, not the victim. I could go on and on about the inconsistencies in the story - like how Jack's dad was supposedly having an affair with Jack's 15 year old girlfriend (gross). Why would she want to run away with Jack if she is having an affair with his dad? And with all the witnesses saying teenaged Jack was angry and violent against his mother for trying to keep him away from his girlfriend - that doesn't feed into the story that she killed his mother because he would never stand up to his parents. Oh, and by the way, no one survives a shotgun blast to the chest at close range. No one. None of the story flowed together well, and that's why it seemed so weird to me. 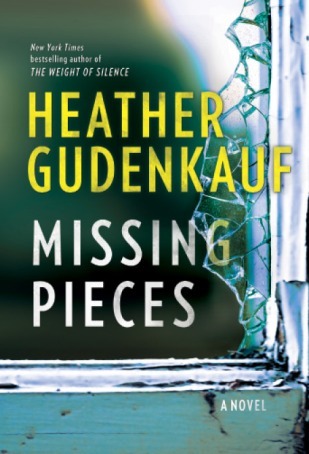 Heather Gudenkauf usually writes such intricately layered stories, this was just odd.